The mission of the Early Typewriter Collectors’ Association is to support communication and interaction within the community of typewriter lovers and collectors, and to encourage its growth. Our magazine, ETCetera, serves that mission by gathering and sharing knowledge about typewriter history with the community and beyond. 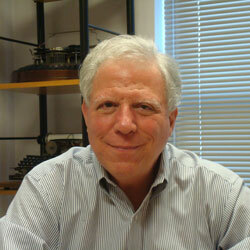 Richard Polt is a professor of philosophy at Xavier University and creator of The Classic Typewriter Page website (1995-present). He was past editor of ETCetera (2006-2012) and a blogger on typewriters (Writing Ball, 2010-present). 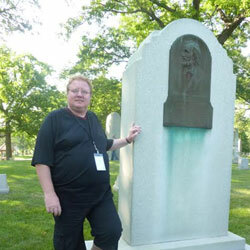 Author of the book The Typewriter Revolution and inaugural QWERTY Award winner (2012). My vision for ETCetera is that it should continue as a printed, full-color magazine primarily devoted to researching the technical and cultural history of early typewriters. The magazine will also pay attention to more modern typewriters, current events in the collecting community, and other items of interest to readers. We will continue to provide content that can be found only within the pages of ETCetera, although issues will be digitized after a few years and made accessible to the world. The association will also promote meetings, swap meets, type-ins, and similar events. Berthold ("Bert") Kerschbaumer (born 1963 in Steyr, Austria), professor of business informatics at Upper Austria University of Applied Sciences (1980 on) and worked for Olivetti for 12 years. While at Olivetti, my colleague and then friend and mentor, the late Willi Süß, introduced me to the wide field of historic typewriters. 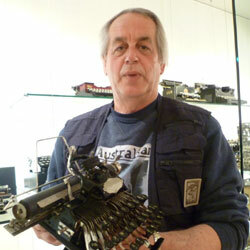 Typewriter and ephemera collector for 25+ years; contributor to ETCetera for many years and also member of the IFHB. My special interest is in early printed matter about office machines, Olivetti, and Blickensderfer typewriters. I also envision that ETCetera will continue as a printed, full-color magazine primarily devoted to researching the technical and cultural history of early typewriters, and that the main goal is to publish content that can be found only within its pages. The organization or support of collector meetings will be of additional value in creating a collectors' community. 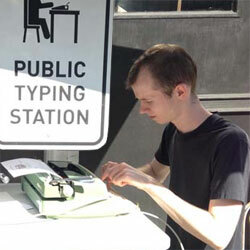 In an international context, the association will be the first destination in the field of historic typewriters. Robert Messenger (born New Zealand 1948) is a retired journalist, Canberra, Australia. 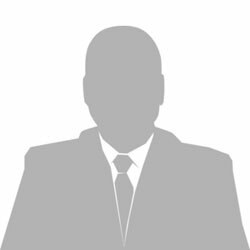 Spent 47 years as writer, columnist and production editor in print newspaper industry in New Zealand, Australia, Ireland and England (1965-2012). Owner of the Australian Typewriter Museum, blogger (ozTypewriter, 2011-present), author of two books on typewriter history, regular contributor to ETCetera since 2007, winner of 2014 QWERTY Award. Constant typewriter user since 1957, collector since 2000. In late 2013 I suggested re-establishing an Early Typewriter Collectors' Association editorial board in an effort to safeguard the future of ETCetera and ensure it continues to appear on a regular quarterly basis, largely by maintaining close liaison with its editor. I believe representation on the board should be as international as the magazine's readership. ETCetera content will be exclusive to the printed edition for a period of at least two years before being made available online. Efforts will be made to expand the size of the magazine to a regular 20 pages and if possible 24 pages. Input by subscribers, from having a say on board membership and magazine content to something as basic as "New on the Shelf", must be encouraged and maintained. Peter Weil is a retired associate professor of anthropology at University of Delaware, contributing editor to ETCetera for eight years plus, winner of QWERTY Award 2013, avid typewriter and ephemera collector for 18+ years. 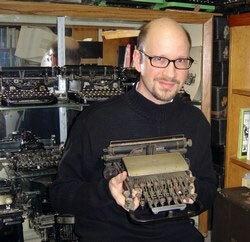 Member of the board organizing the new and better Early Typewriter Collectors' Association. I believe the purpose of the new organization is to serve the typewriter community in its many dimensions, including collectors, writers, and others who enjoy typewriters in so many ways. This means that both the association and its publication, ETCetera, should serve those interests through supporting and reporting on activities and new realities of typewriterdom as they develop and through well-researched, well-written and graphically-strong articles and columns. My vision is that the publication should be a hard-copy one that regularly is made available digitally after a reasonable period to serve as a larger database on typewriters. Related to all of this, the organization's web page shall be expanded and regularly updated to include sections on typewriter-related gatherings, meetings, publications, and any other typewriter—related activities and needs. In addition to the announcement of such events as type-ins and such, it should also include a classified section. 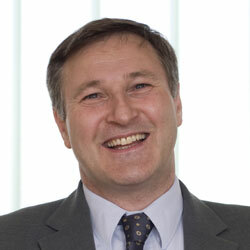 Reinmar Wochinz, mechanical engineer, born 1968 in Austria, now living in Munich, Germany. Collector of early typewriters and calculators since 1990. I supported ETCetera in the background since the time that Darryl Rehr was editor, by translating some issues into German and by helping with taking care of European subscribers. In my view, ETCetera is the best magazine worldwide on collectible typewriters. Its main strength is in the rare and early typewriters, but the regular columns on Ephemera and on Portables make ETCetera a complete magazine, covering as much as possible from the world of collectible typewriters within its limited space. I believe that ETCetera should continue to be a hard-copy, full-color magazine. Making it available digitally should be done after a few years only, via a web page, which could be expanded to attract possible future members. The recent meeting in Milwaukee was great, and I hope that ETCetera can help to promote or organize such meetings or similar events in future. Lars was born 1969 in Gunzenhausen Germany and studied at the Catholic University Eichstätt, majoring in German literature, Education and Philosophy. Borrmann currently works as a teacher in a small primary school in the town that was the birthplace of Ernst Martin. He has been interested in typewriters since he was young, when he was looking for old stuff from household trash settings. His first typewriter was an Adler 7 which he still has. Lars became a more serious collector about 15 years ago and now he have about 170 typewriters, most of them pre-WWII of German or US manufacture. While there are not many rare typewriters in his collection, some highlights are a Hammond 1 and a Germania 5. He especially loves Blickensderfers, and has about 25 of them in his collection. Nick Tauriainen is a student of graphic design and author of the blog x over it (2011-present). 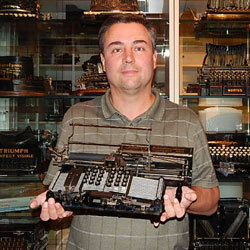 He first became interested in typewriters at age 10 and began collecting them a couple years later. He participated in organizing type-ins in London (May 2014) and Tacoma, WA (September 2014). Since 1987, the Early Typewriter Collectors’ Association has been bringing typewriter lovers together. By joining ETCA, you connect to a network of people around the world who appreciate typewriters — as antiques, as windows into history, as feats of engineering, as works of art, and as practical writing machines. You will receive our full-color magazine, ETCetera, four times a year, and we’ll keep you informed about major events and opportunities.